Okay What Exactly is a Patriarch? Pope? Metropolitan? Bishop? Priest? Well, lets start locally and move our way up the hierarchy. A “parish” is a community of people who worship the Holy Trinity and work together to spread the Good News. A parish is lead by the “pastor” who is an ordained priest. Sometimes a parish can also have assistant pastors and deacons who help the pastor lead the community. 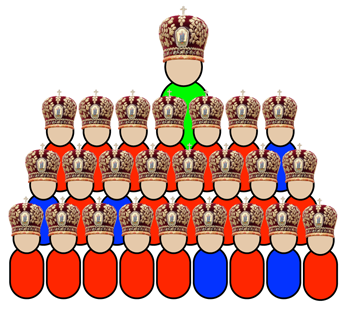 An “Eparchy” is a geographical area which contains several parishes. 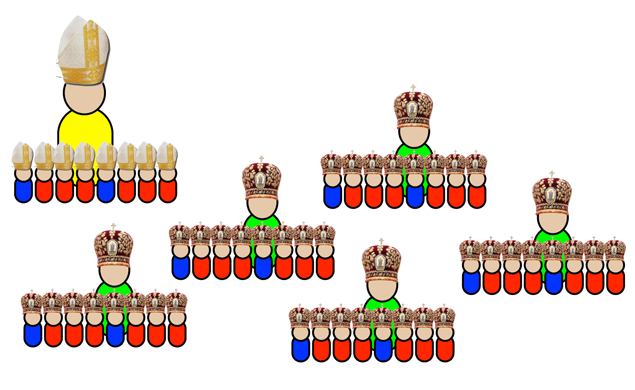 It is lead by a bishop (aka Eparch). The bishop oversees the local parishes, priests and deacons. In some church circles they call this a “Diocese.” We belong to the Eparchy of Edmonton, which covers all of Alberta and a portion of the Northwest Territories. Our Bishop is Bishop David Motiuk. A “metropolia” is a collection of Eparchies. 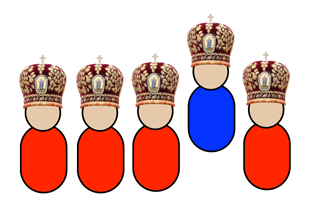 When the bishops of a metropolia gather, the “Metropolitan” or “Arch-bishop” chairs their meetings. In our case, we are part of the metropolia of Canada. Metropolitan Lawrence Huculak of Winnipeg is the leader. 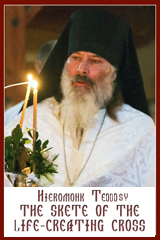 The Patriarch is the bishop of Kiev & Halych. Patriarch Sviatoslav Shevchuk will set the agenda and oversee the leadership of the church. 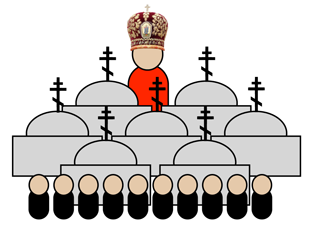 ” Often the Patriarch, as well as some other bishops, are also made “Cardinals”. A cardinal is basically an advisor to the pope. 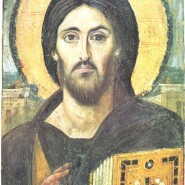 When all the particular Catholic Churches gather, (there are 23 Catholic Churches) the leader of the whole ʻgangʼ is the Bishop of the city of Rome–also known as the See of Peter since it was founded by Peter who was the head of the apostles. His common title is “Pope.” Our current pope is Pope Benedict the 16th. In the eyes of God all people are equal. God loves a simple child as much as the pope. However everyone has a God given role to fulfill in our communal pilgrimage to the Heavenly Kingdom. 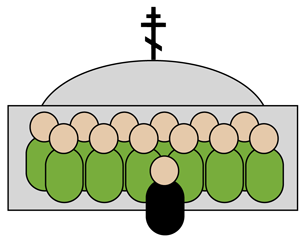 Clergy–deacons, priests, bishops–serve the Christian community by conveying to us the reality of God’s presence in our midst through sacraments and blessings, they help us grow in the faith by teaching, they connect us to the apostles because of their unbroken continued succession and they are the visible sign of unity between our parishes and Eparchies. Because of the dignity of their office we honour our clergy, and special honour is given to the bishops for they are the spiritual fathers and shepherds of our Eparchies and the entire Church: May God grant them many happy years!